I was lucky enough to be featured in not just one magazine this month. Yay! Can’t thank the Lord enough for all the blessings coming my way. Metro Society gathered 10 young bloods from the fashion industry including me. I’m incredibly flattered to be considered for this feature. Thank you Metro Society! 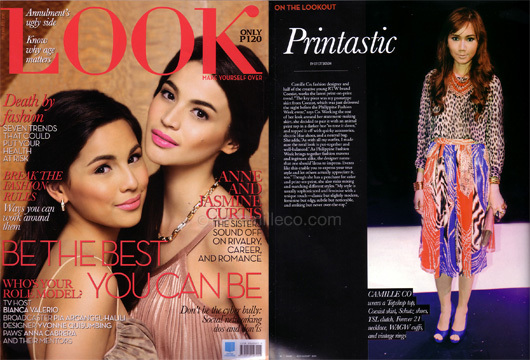 3rd feature of the month is from Look Magazine. It’s just a short interview about my outfit for Philippine Fashion Week (PFW) and my thoughts on dressing up for an event such as this. I wasn’t aware it was going to be a full-page spread. Thank you Cit-Cit Sioson!